Six years ago, Alex’s grandmother registered her to attend summer camp at Cherry Lake with Leon County 4-H and she hasn’t looked back since! Alex has become one of the shining stars of the Leon County 4-H program. 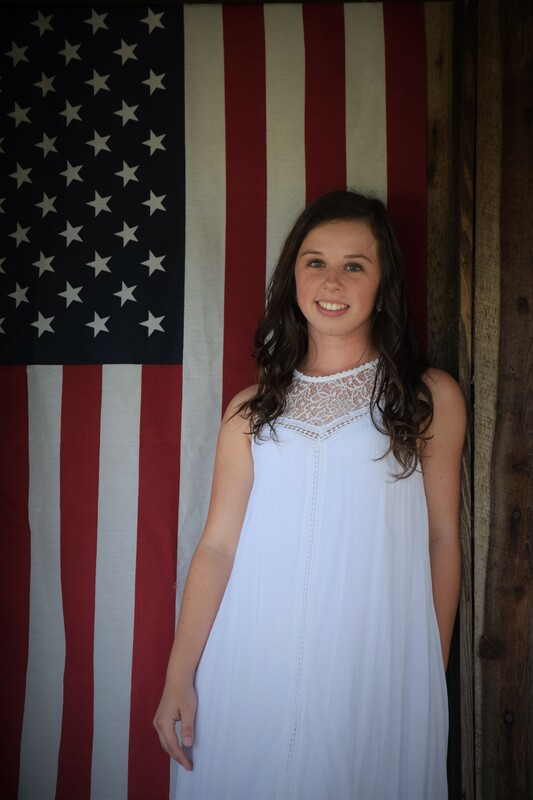 She has held positions of Parliamentarian, Secretary, and Vice President of the Leon County 4-H Leadership Council. She has served as a member of our Banquet Planning Committee and for the past four summers, Alex has volunteered her time as a counselor at Robotics, Sewing, Cooking, and Gardening camps. She is raised by her grandparents, Suzane Parke and Sidney Jenkins and is the oldest of three siblings. Alex has helped teach a variety of 4-H programs during her six-year membership. Alex is a wonderful representative of 4-H. Perhaps more importantly, she is a stellar student. 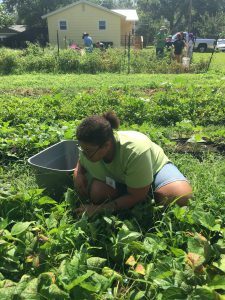 When Alex first joined 4-H, she talked about her future enrollment in the IB program at Rickards High School. I remember this discussion vividly because I was extremely impressed with the maturity of a then-thirteen year old explaining how she would be reducing her participation in order to focus on school. Four years, hard work, late nights, and hard choices – many times causing her to choose between 4-H and homework – she has accomplished her goal. One of her favorite experiences has been learning about how food is produced. Alex will extend her learning at the University of Florida’s College of Agriculture this fall. 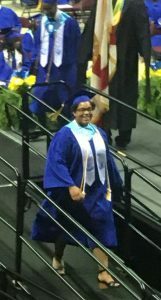 We will definitely miss Alex’s smiling face and bubbling personality around our office this summer, but we are so proud of our 2017 graduate! Jessica credits 4-H with helping her develop leadership and communication skills to help her transition into the workforce. Super Woman has nothing on Washington County 4-H’er Jessica Wells. During her 11 years as a 4-H member, she has logged over 500 4-H volunteer hours, started and led a horse project club, facilitated agriculture judging at the county youth fair, led a highly successful community service project, served on 4-H Executive Board and the district teen retreat planning committee, been my right-hand woman at day camps, the county 4-H Tropicana public speaking contest and awards banquets…I could go on and on! Through events such as 4-H University and executive board, 4-H involvement has broadened Jessica’s personal skill set. She has learned about opportunities beyond the county level, stepped out of her comfort zone, looked inside herself to see where she needed to grow and developed teamwork skills that have benefitted her now and will continue to benefit her in the future. 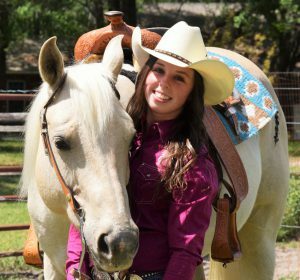 Jessica’s involvement in the 4-H horse program has led her to start a horse club in her community, so she can share her passion and expertise for the horse industry with other youth. 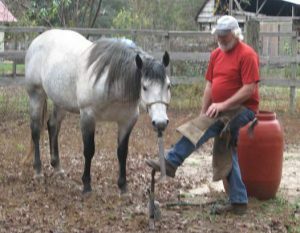 There had not been an active horse club in the county for several years, so Jessica was able to match her interest to serve a real need in the community. 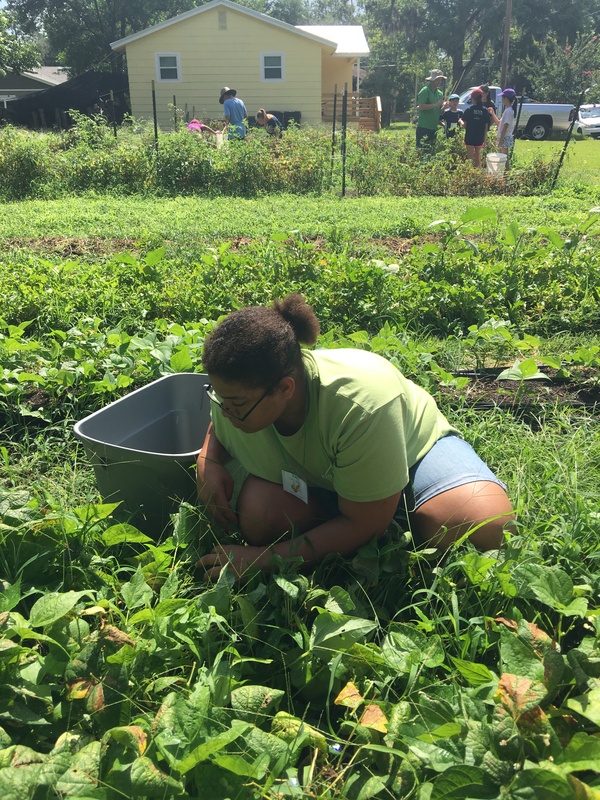 With leadership development as the focus of her senior 4-H year, she says that 4-H University has been her favorite event that has allowed her to flex and grow her skills as a leader. Jessica lives a heads, heart, hands and health life: she has grown her personal skill set, she leads and serves with a giving and caring heart, her work ethic is tremendous and she has begun a club to serve an unmet need in the county. Jessica has balanced her 4-H life while working at her grandfather’s blueberry farm, working with her horses (even rehabilitating a rescue horse), being an awesome big sister and daughter and serving at church. Jessica is the daughter of Rodney and Karen Wells and big sister to Sarah and Joshua. She plans to attend Chipola College then transfer to either Abraham Baldwin Agricultural College or the University of Florida and major in agri-business. With the end of the school year approaching, many parents are puzzling over what to do with their children during the 8-10 weeks of summer vacation. 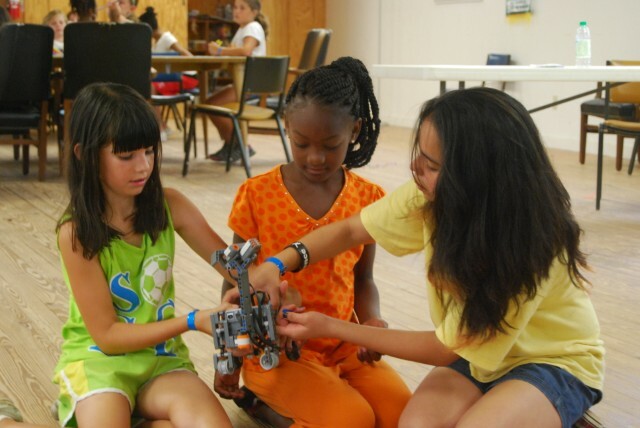 Fortunately, 4-H has the solution to bust summertime boredom and extend learning while exploring a variety of topics- such as sewing, gardening, culinary arts or even robotics and engineering. 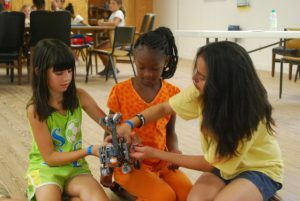 4-H camps are different from most other camping programs because they are framed around the essential elements of positive youth development and are intentionally structured to promote the development of life and workforce skills such as communication, decision-making and appreciation of differences. 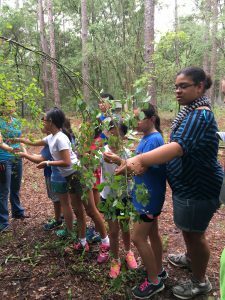 4-H camps are staffed by caring teen and adult volunteers who have been screened, oriented and trained according to federal and state law, and incorporate best practices for risk management to insure a physically and emotionally safe environment. The connection of 4-H to land grant universities like the University of Florida also means that camp curriculum is based on the best knowledge available about any given project utilizing inquiry and learn-by-doing methods. Below you can find a list of day camps that will be offered throughout the Florida panhandle. Counties also offer week long overnight camps at Camp Timpoochee or Camp Cherry Lake. In addition to camp, 4-H offers overnight leadership experiences for middle school and high school youth, such as Intermediate State (June 2-4th), 4-H Legislature (June 26-30th), and 4-H University (July 31-August 3rd). Click on the county links below for more information or contact your local UF IFAS County Extension Office. 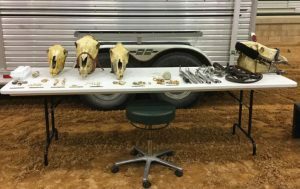 The Area A 4-H Horse Advisory Committee is pleased to welcome Dr. Bess Darrow, DVM and Mr. Billy Blackman, Professional Farrier to our first Area A 4-H Equine Clinic. Our focus will be on overall equine health, as well as dental and hoof concerns. There is no fee for this clinic but you must register on Eventbrite by June 5th. Lunch is provided for current 4-H members. Horsemanship School– slots are still available for Western Week!